In the mid-to-late 1980s (and through the early 1990s), Aston Martin was just barely getting by. Like, they were producing cars by the handful before Ford got involved. Take this for instance, the V8 Vantage Zagato, which was built between 1986 and 1990 and resulted in just 89 cars completed. Aston Martin and Zagato have a long history together and this car reignited the flame. The “V8 Vantage” nameplate has been a popular model name over the years and this V8 Vantage was based on the aging Aston Martin V8 that dated back to 1969. It shares the same, old (Bonhams calls it “proven”) 5.3-liter V-8 spec’d to 432 horsepower, which was pretty serious for 1987. It was quick, too: 60 mph arrived in 4.8 seconds. Only 52 coupes were built and they were expensive, costing $156,600 when new. But because they came out at the height of the supercar craze, prices skyrocketed and a few years after their introduction they were selling for nearly half a million dollars. This one should bring between $370,000-$500,000. Aston built a further 37 convertibles which are even more sought after. Click here for more info and here for more from this sale. 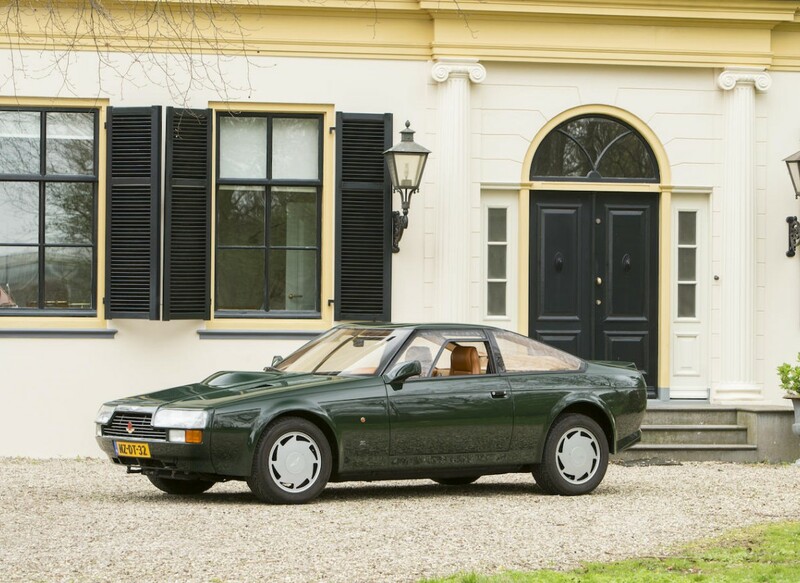 This entry was posted in Uncategorized and tagged 1987, aston martin, auctions, Bonhams, cars, classic cars, coupe, v8 vantage, zagato by classiccarweekly. Bookmark the permalink.